Snack Bags, Sandwich Bags & Wraps. 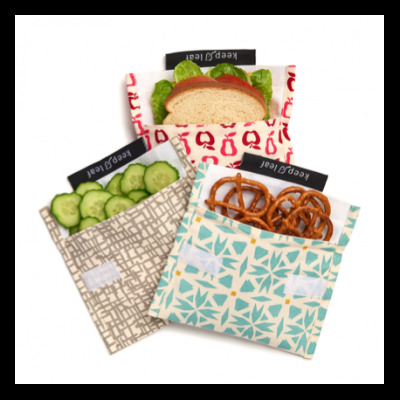 Home > ECO LIVING > Reusable Sandwich Bags & Food Wrap > Snack Bags, Sandwich Bags & Wraps. A reusable baggie. Perfect for sandwiches, snacks, travel and storage. This reusable baggie is the perfect alternative to disposable plastic baggies and wrap. Ideal for sandwiches, snacks, travel and storage. Features: 100% cotton exterior with waterproof liner to help keep food fresh for longer. Easy and secure velcro closure. Easy care: hand rinse, machine washable and dishwasher safe. Lead, Phthalate and BPA free. Sizes: 7" x 6.5". 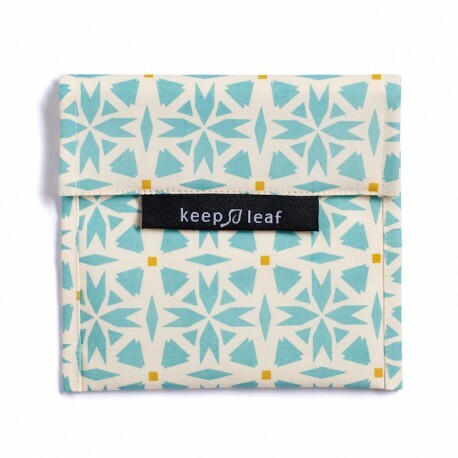 Keep Leaf is based on the belief that you do not have to compromise on quality and style to observe responsible, sustainable practices and the result is a range of speciality reusable products that are premium quality, modern, chic, easy to use and well priced. The factory that produces the Keep Leaf baggies is fully committed to being part of The Ethical Trading Initiative (ETI) - a ground-breaking alliance of companies, trade unions and voluntary organisations. They work in partnership to improve the lives of poor and vulnerable workers across the globe who make or grow consumer goods - everything from tea to T-shirts, from flowers to footballs. The companies committed to this initiative adopt a code of labour practice that they expect all their suppliers to work towards. Such codes address issues like wages, hours of work, health and safety and the right to join free trade unions. Really great product, easy to clean and perfect for a great number of things! I use this product to carry sandwiches/nuts/biscuits and for storage of such things. Good quality, will be purchasing another for plastic guilt free snacking.